All living beings have the ability to achieve a perfect state of balance in mind, body and spirit. Healing is a natural process to help you achieve that balance. Healing can also be described as a flow of beneficial energy between the healer and the recipient that deals with the "disease" at its deepest level, and helps to free natural resources to work in the most effective way for you. Healing is a relaxing, nurturing energy therapy. Gentle touch assists in balancing your physical, mental, emotional, and spiritual well-being. Healing works with your energy field to support your natural ability to heal. It is safe for all ages and works in harmony with standard medical care. The purpose of spiritual healing is to enhance and empower you in finding that point of balance. The healer acts as a channel for healing energies and can help you to restore balance to your life, Spiritual healing may be carried out on people suffering from stress, illness, chronic pain or injury as a complementary therapy to mainstream medical treatment without any side effects. 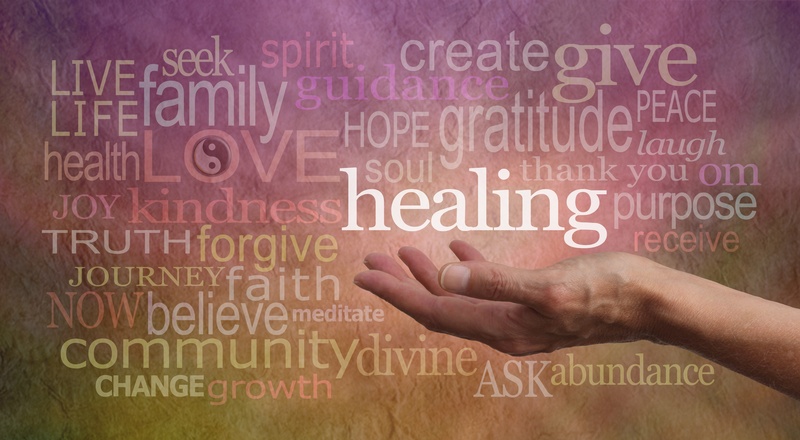 How can Healing benefit you? Healing can be helpful with a wide range of conditions, sometimes with remarkable outcomes. It is a process of revitalisation, relaxation and release, which helps your body to adjust and heal spontaneously at its own pace and in its own way. Healing seeks out the underlying cause as well as the "presenting symptom". This can mean that the outcome of a healing session maybe beneficial in an unexpected way and not necessarily immediately: for example you may feel a sudden benefit days later or gradual improvement over a period of time. There may be times when you experience some kind of emotional release as part of the healing process. Sometimes the process is obvious, sometimes more subtle. Healing research suggests that there are many benefits. Individual experiences will vary. Healing does not replace medical care or supervision. We work with the medical establishment with complementary care. We strongly recommend you always seek medical advice or contact your GP when symptoms persist.